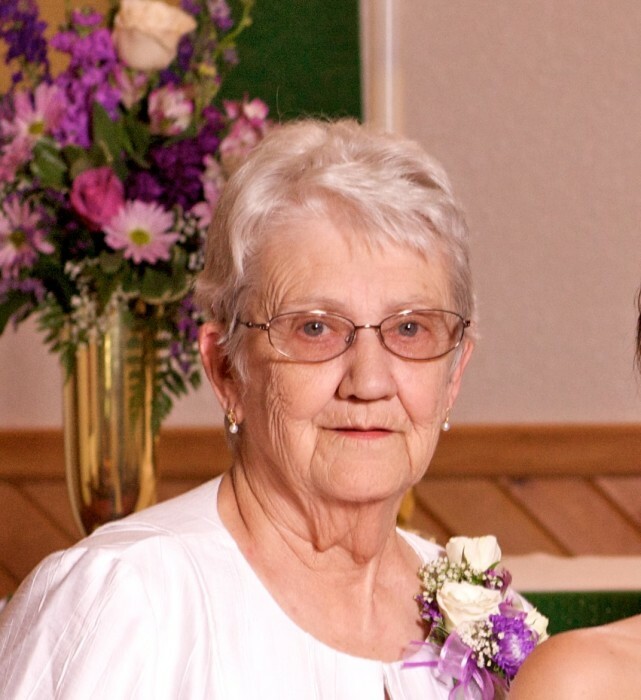 Betty Price passed away January 31 at Weston County Health Services following a short illness. Betty was born May 31, 1937 to Jacob and Claudia (Gardner) Parks in Holdenville, Oklahoma. Upon graduation, she married Bill T. Price September 15, 1955. In the fall of 1963, they, along with their three kids, Kim, Billy Jr., and Steven moved to the oilfield near Osage, Wyoming. While waiting for Shawn to be born, the family moved back to Oklahoma for 2 years before moving back to Osage where they remained. Betty clerked at the Osage Post Office for a few years before retiring to spend more time camping. They enjoyed camping in the Black Hills, especially when the grandkids started coming along. She also enjoyed working in the yard and trying to keep the tomato plants alive through the hail season. She enjoyed visiting with her friend Bert and trips back to Oregon for the Shawn and Tom Memorial Run and seeing all of Shawn’s fellow workers. Her last camping trip was to Angostura, but we never could get her in the boat. Betty was preceded in death by her parents Jake and Claudia, her sister Kathleen, brother Gene, her husband Bill, son Shawn, son in-law Bruce Hansen, 2 grandsons Brian and Matt, 2 great grandsons Kody and Kyle. She is survived by her daughter Kim Hansen, sons Billy and Steven (Denette), grandchildren Kristie, Ashley, and Aaron, and great grandchildren Kayla, Ava, and Jace.